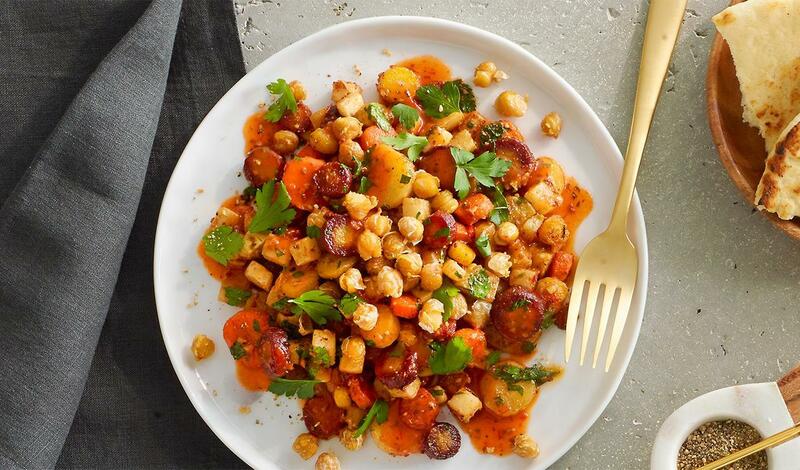 Roasted root vegetables are combined with garlic and toasted dukkah and a creamy harissa dressing. Topped with crispy fried chickpeas for added crunch. Mix ingredients and whisk to combine. Combine ingredients and toss until carrots are well coated. Roast in oven at 200°C until tender. Combine all ingredients except chickpeas and gently mix.